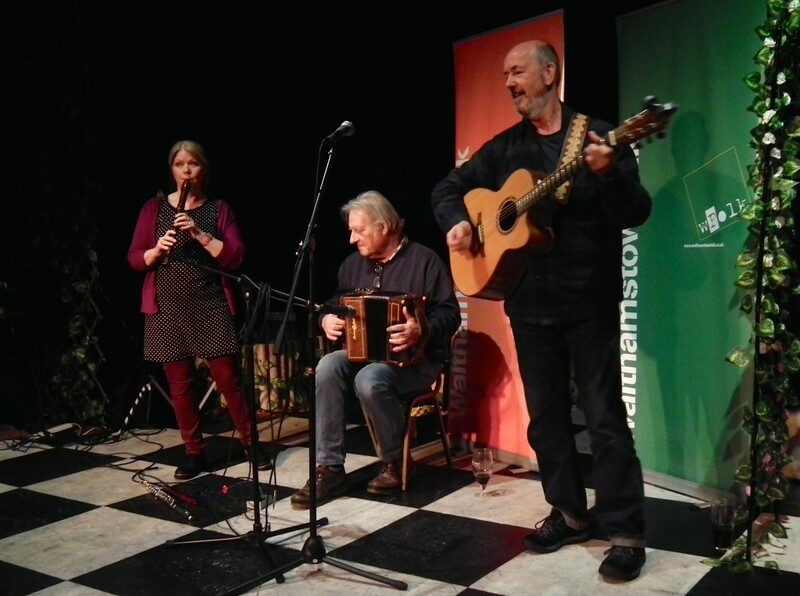 The three members of Rosewood have have been performers on the folk scene for some years and have played at major UK folk festivals as well as on the club circuit. They also play of have played in Bof! and The Hosepipe Band. The trio is based in East Anglia and most of their bookings have been in the south and east of the country. However, they are happy to travel anywhere in the country to play at clubs or festivals. Rosewood sing and play traditional and contemporary songs and instrumentals, some of which they have written themselves. Their unique features are the variety of their source material and the range of instruments they play. Depending on venues these may include bandoneon, hammered dulcimer, bagpipes, bouzouki, concertina and deskbells.